On June 21st, the first day of summer, AOP took part in Sing For Hope’s 2010 Make Music New York Festival, which placed upwards of 60 pianos in various locations around NYC. 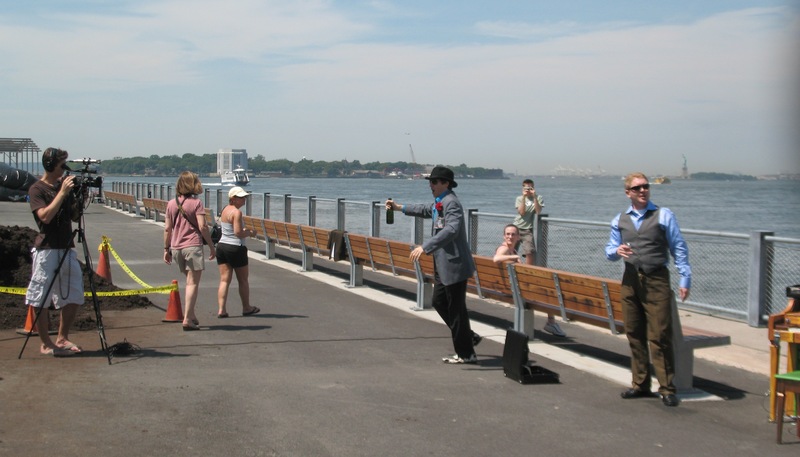 Making good use of pianos in the Brooklyn Bridge Park in DUMBO, the Band Shell in Central Park, and Columbus Circle, AOP took the stage with a scene from Act II of Paul’s Case, by composer Gregory Spears and librettist Kathryn Walat. As bystanders looked on, Thomas Wazelle and Dorian Balis, accompanied by Scott Rednour and lead by Silas Huff, performed opera in period dress. Here’s a brief account of the Columbus Circle piano by the New York Post. Check out the 3:34pm entry for AOP’s contribution to the day of music! While the performers showcased Paul’s Case, AOP was busy with both still and video cameras, recording the entire process. Expect a compilation video soon! In the meantime, go here to learn more about Paul’s Case, or check out this blog post to learn about where else this up-and-coming new opera is being performed! 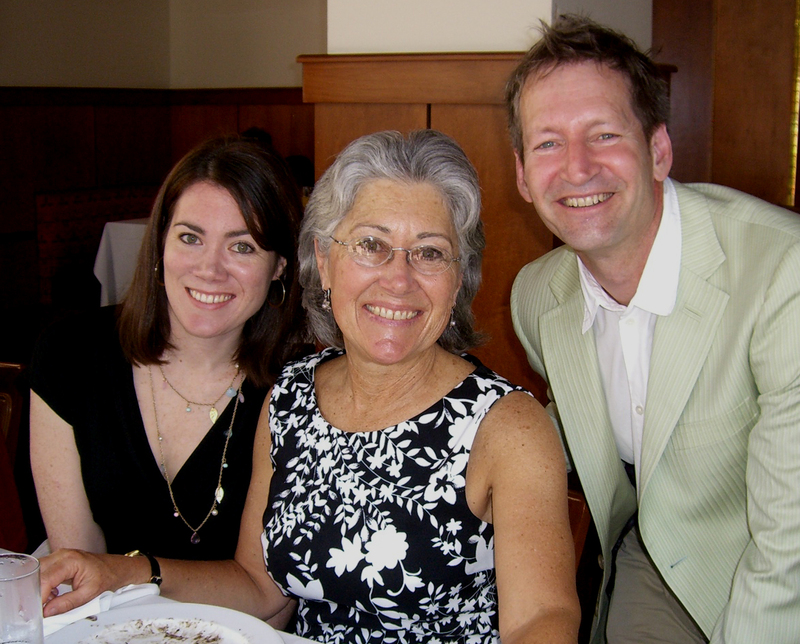 Charles Jarden, Executive Director of AOP, with Gloria Koch (daughter of the late Dolores Koch, co-librettist of Before Night Falls and friend of Reinaldo Arenas) and her daughter. A full month after it’s world premiere with Fort Worth Opera, Before Night Falls, a new opera by Jorge Martín, is still receiving rave reviews. Before Night Falls tells the compelling story of gay Cuban counterrevolutionary Reinaldo Arenas and his struggles as a political dissident and homosexual in both Cuba and America. Make sure to check out AOP’s earlier blog post about the Fort Worth performance of Before Night Falls here. AOP is pleased to announce the great success of the recent production of Paul’s Case, by composer Gregory Spears and Librettist Kathryn Walat, with Opera America’s New Works Sampler 2010! 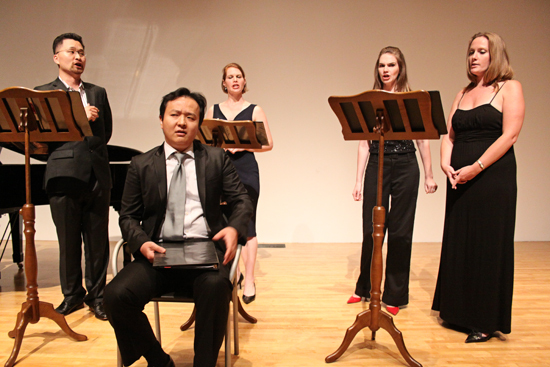 On Friday, June 11th, excerpts from Paul’s Case, featuring Hak Soo Kim in the title role, were performed alongside numerous other new operas at the Museum of Contemporary Art in Los Angeles. 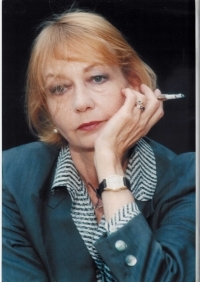 AOP is truly heartbroken today to hear of the death of our friend Elzbieta, who our audiences will remember from the memorable characters she created and her seductive Eastern European purr in Darkling. We will miss her elegant, non-stop smoking, her vampiric dahhhling of a speaking voice, and her biting humor. Goodbye, sweet duchess. Read the New York Times obit for Elzbieta. Elzbieta returning to Poland in 2007. Photo by Matt Gray. 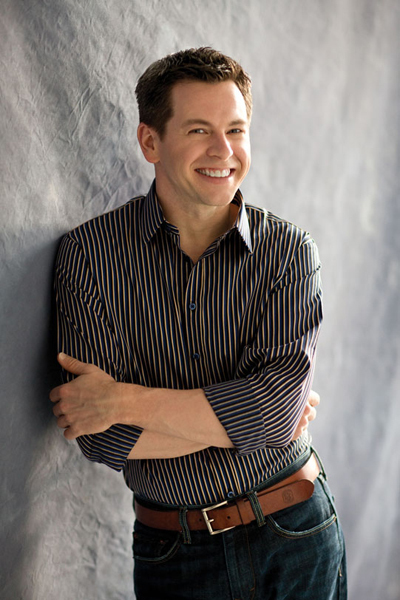 AOP is proud to announce that tenor Keith Jameson has just been featured in Opera News’ “Singer’s Diary” series! Keith has worked with AOP on numerous projects, including Composers and the Voice and, most recently, The Golden Gate. Check out the full article here, and learn more about Keith at his website! Foreground, from left: Javier Abreu as Pepe and Wes Mason as Reinaldo Arenas. Photo by Robert Hart for TheaterJones.com. Before Night Falls, based on the novel with the same name by Reinaldo Arenas, tracks the harsh life of a political dissident and gay man in Fidel Castro’s Cuba. The production, directed by David Gately and with stirring and provocative projections by designers Peter Nigrini, featured Wes Mason and Jonathan Blalock. AOP helped develop the work in a series of workshops in 2005. You are currently browsing the Have a Voice blog archives for June, 2010.